United's 4-0 hammering of Everton on Sunday maintained strong starts to the season for both Manchester sides. He said: "We won three titles last season and City didn't win anything. They are under pressure. "They need titles to keep everyone happy. They are obligated to win titles. We won three last season so they have more obligation than us. "But you know when you play for Man United wining is an expectation and an obligation but I like that obligation to be honest." 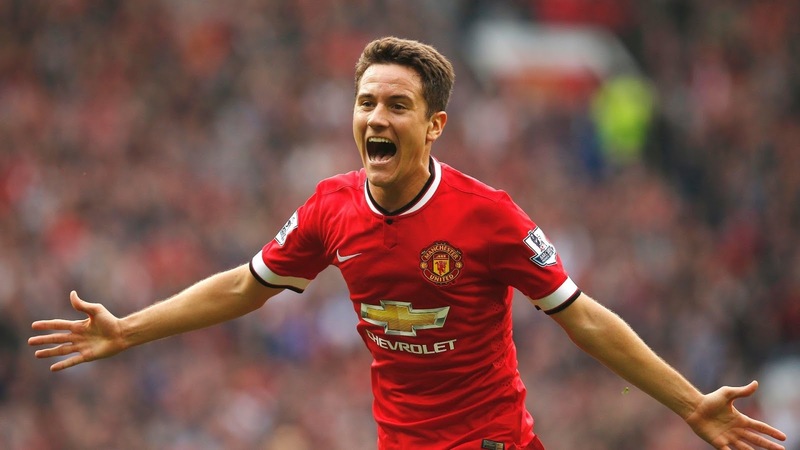 Herrera was a key part of the United squad that ended Jose Mourinho's first season in charge by lifting the League Cup, Europa League and Community Shield. He said: "Man City have spent the biggest amount in the Premier League so they are the principle contenders for the title. "We will try to be there as well, we have quality as well, and we will fight for every title. But I think because of the money they have spent they are the favourites. "We will try to be there but they have spent the biggest money in the league. "There is always pressure when you spend a lot but there is also pressure on us because we are the biggest club in England. He said: "I feel as important as I did last season. I am a team player and I always say that and if the manager decides to keep me on the bench I will be ready. "I said that last season and it is the same now. I know how lucky I am to play for Manchester United, that's all. "I will try to enjoy every minute I have on the pitch. I want to win titles and feel part of the team and feel important and I really do feel important because the manager makes me feel important. "When you play for the biggest club it is not so easy to play ever game, every minute. This is a team and when I retire I want to be remembered in this club. "This is the way I have to follow. I work hard on the pitch and in training every day and I will never regret my time here."